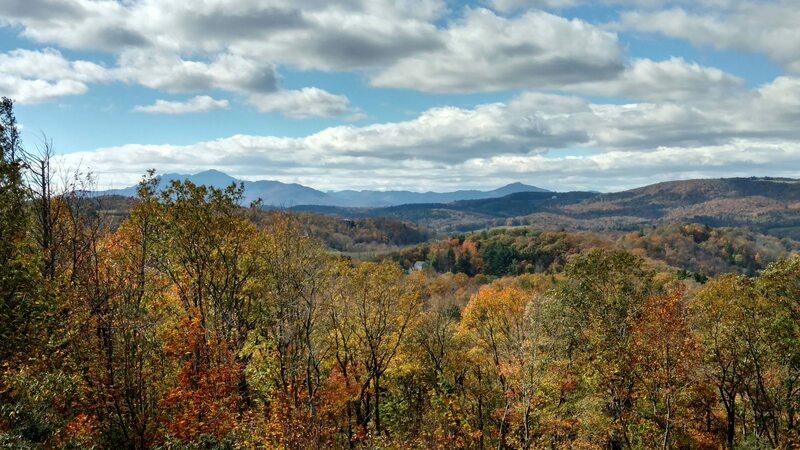 When it comes to scenic and majestic views, it’s hard to beat Asheville and it’s surrounding landscapes. In an area that is widely known for its love for food, variety of beers, hoola-hooping, hiking, floating down the river, and watching live music, most tourists, and a lot of locals alike, can’t ever get enough of the beautiful overlooks and incredible backdrops. Culture? Yes! Entertainment? Yes! Diversity and Acceptance? Yes! Opportunity and prosperity? Yes! Asheville is full of life and that doesn’t just mean that of the human association. Nature is alive and well, and the following locations prove to be “MUST SEES” when traveling around the expanse of this wonderful mountainous region. Here’s a few places you can find the best views in Asheville. The historic Omni Grove Park Inn has become a favorite hot spot for several years now. Whether in the spring just coming out of winter, or as the exiting of the summer gives way to Autumn, there are just some things about the Grove Park Inn that are captivating. The view from the lobby is spectacular of the Blue Ridge Parkway, and it’s just as serene to watch the golfers tee off high above from the stonewalled spa. Whether one stays overnight, or stopping by for a quick look, the Grove Park Inn is a can’t miss. Amazing Sunsets and eye-popping views are never in the ‘few and far between’ category when spending time in the Asheville area. But when it comes to taking in pure beauty and appreciation of nature, few places can match the elements of the Sky Bar. Along with their drink specials and cocktail selections, The Sky Bar is the ideal place to be, at the end of the day, to wind down with a view that will be a memory for a long time. Speaking of nature, The Inn On Biltmore Estates provides an environment so peaceful and relaxing that it would be easy to fall asleep listening to birds chirping while you gaze across the mountain ridgetops. But don’t go there to ‘doze off’ as the view is second to none when it comes to seeing the colossal plantation in its entire splendor. The backdrop of the Smokeys is sure to please the eye and you’ll want to go back, over and over again, for a new and refreshed experience. I’ve briefly ‘tapped’ into the views from a food venue, but another location that offers a breathtaking sight is the Tap Room at the Whole Foods Market. If you require some groceries for a weekend getaway, or if you’re hanging around for a little longer, then stop into Whole Foods and make your way upstairs for a local draft, and an unbeatable view. Hundreds of people, every day, come inside to simply pick up their desired items, only to discover that some of the best sights and sounds in Asheville can be enjoyed from the next level of this first class grocery store. When it comes to views, and appreciating different aspects of a region, sometimes, the lower the better, is the way to go. Staying on the food line of locations, The Wild Wing Café neighbors a beautiful body of water with a picturesque view. From their outdoor seating area, you can enjoy great food, LIVE music, and gain a new perspective of Asheville’s lower forest areas. Wings, trees, water and mountains; there really couldn’t be a more appealing combination. If you happen to carry some binoculars with you and enjoy a nice relaxing drive, get onto the Blue Ridge Parkway. High views, looking out across the vast expanse of rolling elevations, driving through low-lying trees and valleys, the Blue Ridge Parkway offers 469 miles of scenic bliss. Check out Romantic Asheville’s Top 50 Guide for a mile-by-mile list of things to do. No doubt, there are plenty more destinations that would tickle your senses, and capture your attention, as only this region can. But, as a local or a visitor, this list promises to show many reasons why Asheville is above and beyond a special place with spectacular and impressive views.